One of the U.S. Army’s most critical vulnerabilities is its overreliance on SATCOM, on which most of its mission command systems depend. Most of the Army’s mission command systems require data rates so high that the only way for them to function in an expeditionary role is through SATCOM. The increasing need for SATCOM bandwidth has led the U.S. military to channel its operational communications through the leased networks of commercial satellites; these lack adequate protection against jamming and are susceptible to state-actor influence. Potential adversaries of the United States, such as the Russian Federation and the People’s Republic of China, have long recognized U.S. dependence on SATCOM. They have developed formidable capabilities—such as jamming and anti-satellite missiles—to attack that dependence. Even without human threats to SATCOM, periodic geomagnetic storms can damage satellites in orbit. Besides these challenges, most communication satellites do not function north of 65°N latitude; this area includes zones for potential conflict with Russia. Despite these concerns, most ground force communications are structured to require consistent SATCOM. As the U.S. Army’s celestial communication systems have enjoyed an apparent sanctuary in space, terrestrial communications EW has been put on the back burner. Advances in U.S. electronic counter-countermeasures (ECCM), the fall of the Soviet Union and the low EW threat in the conflicts in Iraq and Afghanistan have all contributed to the Army’s apathy toward communications protection. Current doctrinal manuals that describe communication practices and EW often lack the depth and tactical solutions that Cold War doctrine once provided to combat the EW threat. 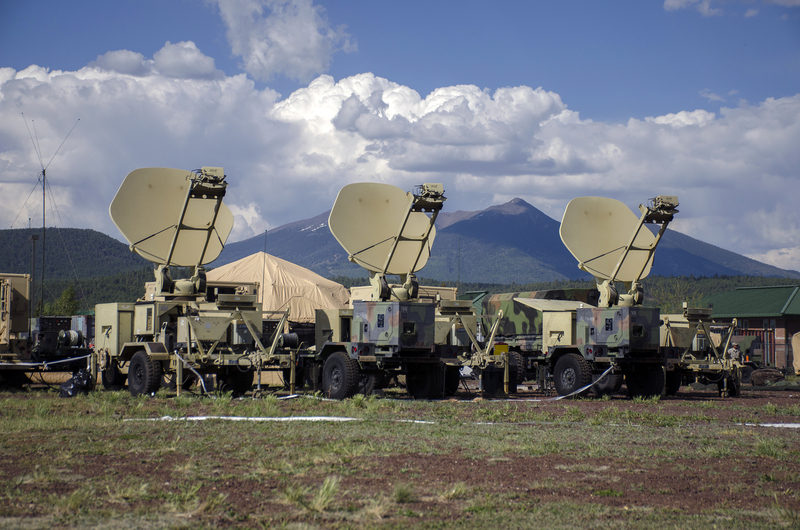 The decision to field ground communication systems with highly-detectable electromagnetic signatures points to an Army doctrine and culture that does not place enough emphasis on terrestrial communications EW threats. To overcome these significant vulnerabilities, the U.S. Army must procure communication systems that maintain the information high ground, but also allow redundancy, flexibility and survivability against threats. The Army must also refine its doctrine to place proper emphasis on the possibility of electronic attack and detection. Individual and collective training should combine the right equipment and techniques to ensure that units are training for a realistic fight—one that would include periods of denied SATCOM and an increased risk of electronic attack and reconnaissance. Upon assuming duties as the Chief of Staff of the Army, General Mark A. Milley said, “If we do not maintain our commitment to remain strong in the air, on the sea and yes, on the ground, then we will pay the butcher’s bill in blood, and we will forever lose the precious gift of our freedom.” A key element of remaining strong on the ground is maintaining the capability to communicate effectively on the ground. If the Army loses SATCOM or faces a sophisticated terrestrial EW threat in conflict, it will still continue its mission and fight, but its capabilities will be severely degraded. The Army’s leaders and Soldiers can adapt—but the equipment, training and doctrine of today will determine how steep that learning curve of adaptability will be and what price in blood the U.S. Army will pay for it. Current communication vulnerabilities will face increasingly complex and sophisticated threats; the benefit of prescient groundwork in peace is preferable to costly improvisation in a time of war.